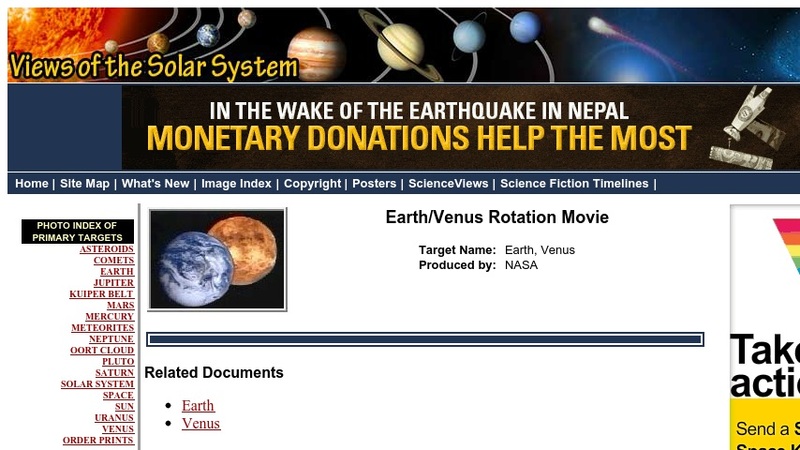 This movie shows Venus and Earth as they rotate. The images are superimposed on each other so that differences in rotation speed and tilt of axes can be seen. Links to documents describing the physical properties and characteristics of the two planets are provided.